Is your head buzzing with questions on how to get a logo or even if you should get to get one in the first place? The above quote is actually the perspective of many, thinking that their business isn’t big enough to deserve a logo. In reality, the situation is quite the opposite. A logo is crucial for any business. It helps to create a mindset in your customers and also makes your brand look unique. It is an identification mark for your business. When your logo is insightful and unique, it grabs the attention of your potential customers, and this is quite helpful in positively promoting your brand. When your logo isn’t designed the way it should have been that’s when it turns into a backfire. A lousy logo means you are too desperate for attention and willing to do just anything for the sake of some sales. This creates a total lack of respect among the audience, and hence keeping them at bay from converting into your customer. Like the old sayings goes, First impression is always the last. So, even if your product or service is top-notch, you might be losing quite a lot of customers because of the images you have been creating. Surely, that is not the way you would want the business to go. 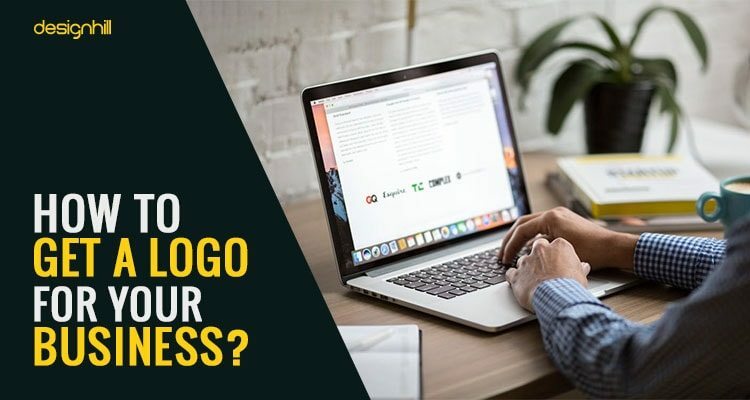 It is necessary that your company’s logo looks good, after all it represents your brand and it will be your representative even when you won’t be there to promote your business. For example, an online user lands on your social media page and sees your logo. 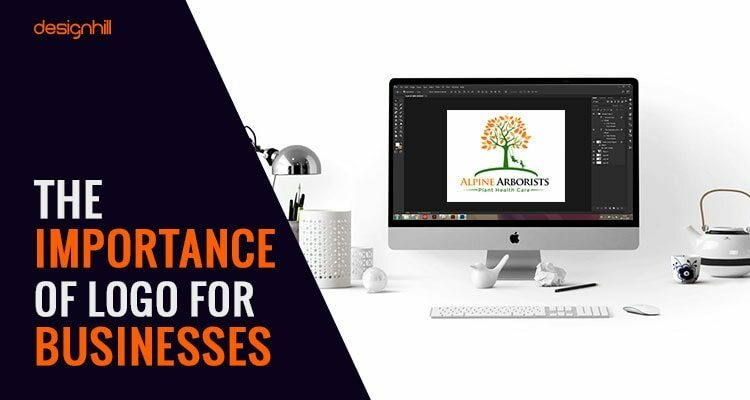 If your logo is attractive, then they might want to lure further into your product sections and thus grow the potential of gaining new customer for your company. Now, the critical question is, how can you get a nice logo for your company? How To Get A Logo For Your Business? There are numerous ways in which you can get a logo for your business. One of which is you can hire a person on a contract basis to make a good logo for yourself. This can save your bucks in the long run but only when the logo created is good enough. However, if the final logo isn’t good enough, then there could be a lot of headache contacting and re-iterating the logo, that too if the designer is willing to do revisions. Finding a logo designer is not the tough part. 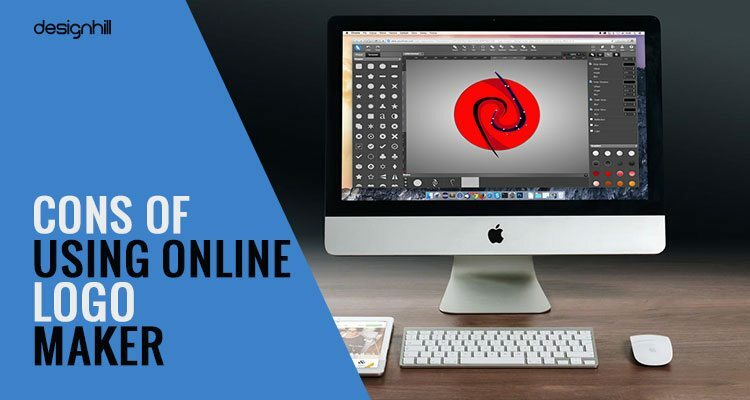 There are online platforms which showcase freelance logo makers, such as Freelancer.com or Fiverr.com. These are just two names, there are plenty of other websites to hire a logo designer. You can find various designers from entry-level to top-notch ones on this site. Now comes the tough part, which is to find or rather guess the best in your budget and hire them. Can You Use Online Logo Creators? The other way to create a logo for your business is to do a simple search for online logo generators and try to make it yourself. There are websites which offer an easy-to-use engine which generates automatic logo designs. However, you have to keep in mind that you won’t be getting any original logo from these generators. It’s just a simple solution, or rather we should say a shortcut for creating a custom logo. There is nothing unique in these logo creators. These websites surely look pleasing, and you may want to try it yourself. But, there are things that you need to take care of while making a logo using these websites. It is true that online logo makers are easy to use. Even if you have minimal designing experience, it is unlikely that you will face any problem generating a logo for yourself. The tools provided there are very user-friendly, and thus it works seamlessly and quickly. If you want your logo overnight, then online logo creators are way faster than a designer. 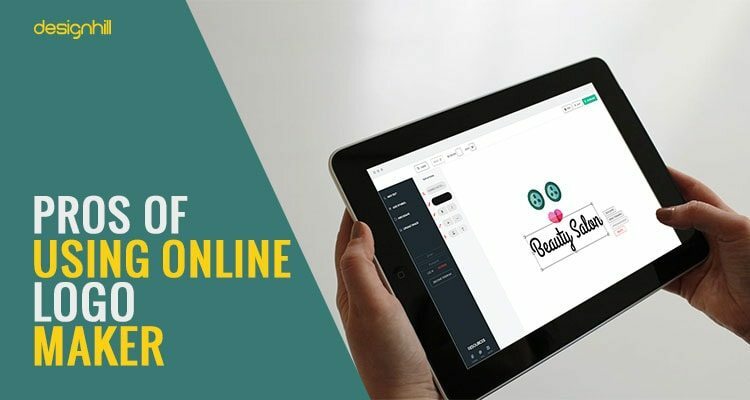 An online logo creator is capable of presenting multiple designs within a minute. 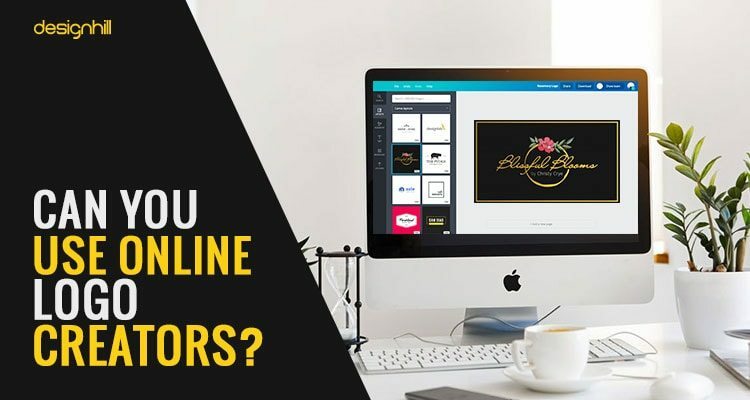 These tools seem to help you when you are out of time, and when you need a logo fast because you’re chasing a deadline for launching your website. Fonts: If your logo design is text based, then you can choose your fonts from thousands of available options. Style: You can browse and see what style suits best for your logo; it is quite simple to do so in fact. Graphics and Vectors: If you own a B2B business then illustrations that portrays your product or service is essential. Using simple and effective graphics can come handy in such case. Colours: As these tools are automated they have an inbuilt colour palette, and they pick the right pallet for your logo. And the best thing is you can roam a bit and check various colours for the same logo. Effects: You can choose from various effects like emboss, bevel and shadow. These effects are stimulated within seconds, much faster than a designer would do, isn’t it? Logotype or Symbol – Which One Is Better for Your Brand? There is a limit on iterations that any artist or designer would work for you. But, since you are using an online logo generator by yourself, then the only limiting factor that remains is your patience. You can tweak the design and adjust as many times as you want. These kinds of logo generators are often entirely free or even if they charge something, it’s minimal. In case of free ones, the online logo generators often tend to leave a watermark on it. If you are on a tight budget, you can go for these tools. 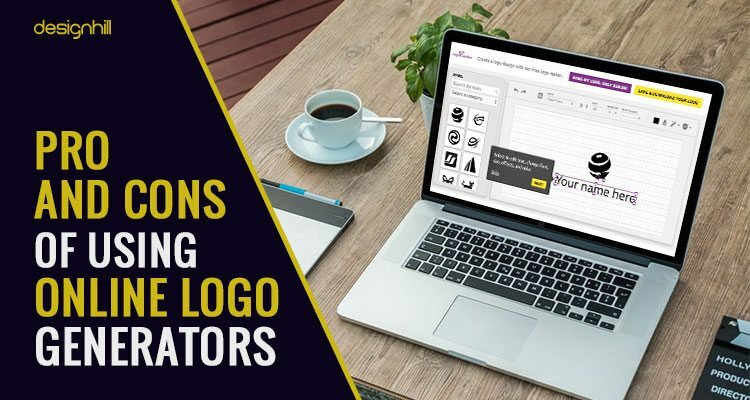 Many times when you use these online logo generators, they end up creating logos that lack a professional finish and reflect poorly on your brand. When these tools are used to create a logo, they indeed offer multiple options. However, it still has a limited set, and thus a disadvantage. A real designer can think beyond limits and create original content. There are high chances that another person might use the same tool and create the same logo that you did. This can be harmful to your business as they would portray a similar logo like yours. When a human designs a logo, he puts his heart & soul in it. They know the psychology that goes behind a logo and make it according to the target audience. But with a logo generator, that is certainly not the case. If your logo isn’t an original piece, there is a high probability that you can get into copyright issues. It is possible that your opponent may copy your logo, register it under a trademark and sue you instead. If there’s a lawsuit then it would cost you both time and money. Like everything, logo generators have their pros and cons. What you need to care about is your need. If you feel like using an online logo maker is a good option, then sure, go for it. But if you think that you need an original, unique logo; then we suggest you to get a logo designer instead.